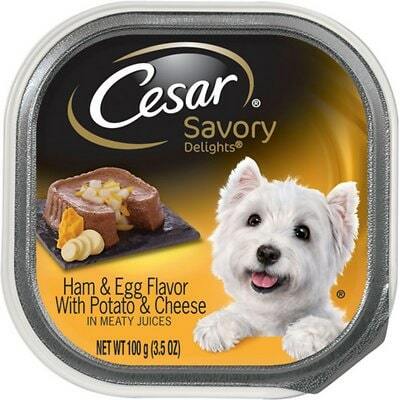 Cesar Savory Delights Ham & Egg Flavor is a mid-priced wet dog food with overall lower quality. This product not only has 6 controversial ingredients but they unfortunately also include artificial preservatives, colors and flavors, not good. The food has well-balanced amounts of protein, fat and carbs, which is offset by low meat and fat quality. 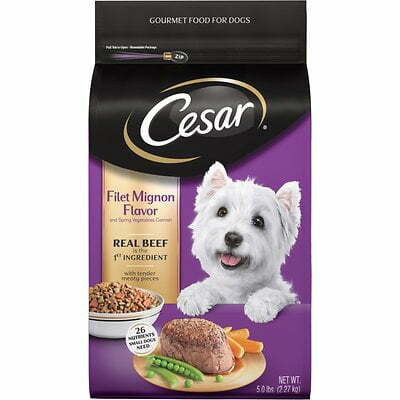 Cesar has a below-average number of dog food recalls. The company was also very open and helpful when answering our transparency questions. Sufficient Water for Processing, Beef By-Products, Animal Liver, Meat By-Products, Beef, Potato, Cheese, Chicken, Chicken By-Products, Calcium Carbonate, Sodium Tripolyphosphate, Carrageenan, Wheat Flour, Potassium Chloride, Natural Flavor, Magnesium Proteinate, Xanthan Gum, Dried Yam, Guar Gum, Salt, Erythorbic Acid, Cassia Gum, Ham and Egg Flavor, Added Color, Zinc Sulfate, Vitamin E Supplement, Monocalcium Phosphate, Copper sulfate, Sodium Nitrite (For Color Retention), D-Calcium Pantothenate, Thiamine Mononitrate (Vitamin B1), Vitamin A Supplement, Vitamin D3 Supplement. The average dog food we reviewed has 39 total ingredients, with 1 controversial ingredient. This product has a total of 6 total controversial ingredients. Learn more about each one below. 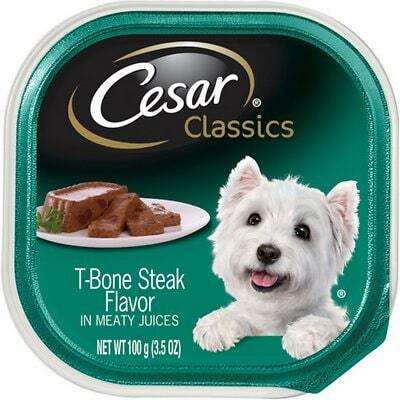 This Cesar product is made in the US. 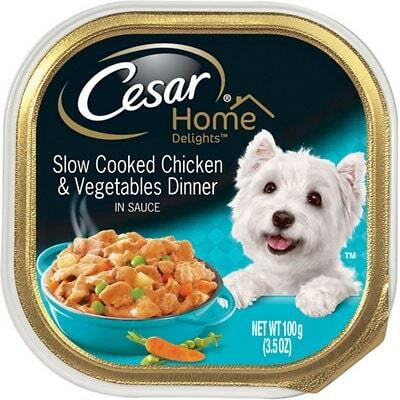 The meat quality of this product is quite mixed, and not great. Two of the meat ingredients, beef and chicken identify the specific animal they come from, this is what we want to see. Then there are chicken by-products and beef by-products, this does tell us the animal but not what part of the animal which is a step down in quality. Finally, we have animal liver and meat by-products neither of these tell us the actual animal supplying the product which is concerning, meat by-products is not telling us the animal or even the part. Since there are no fats listed we can assume the fat content is being supplied primarily from these meat sources, so the quality concerns exist for the fats too. 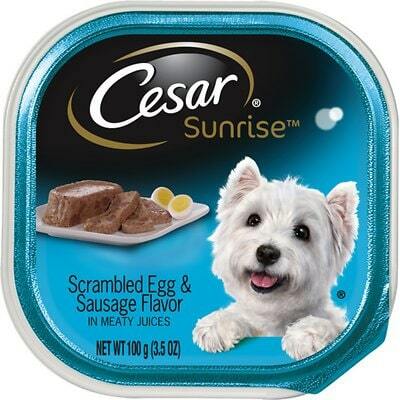 They also have an artificial flavor they have added called “Ham & Egg Flavor”. 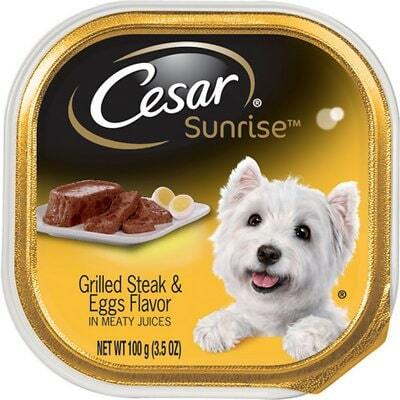 Cesar has a lower than the average number of dog food recalls.